Kolkata Knight Riders will take on Delhi Capitals at the Eden Gardens in the 26th match of the season on April 12. The iconic venue promises to produce a high-scoring encounter between two batting-heavy sides. 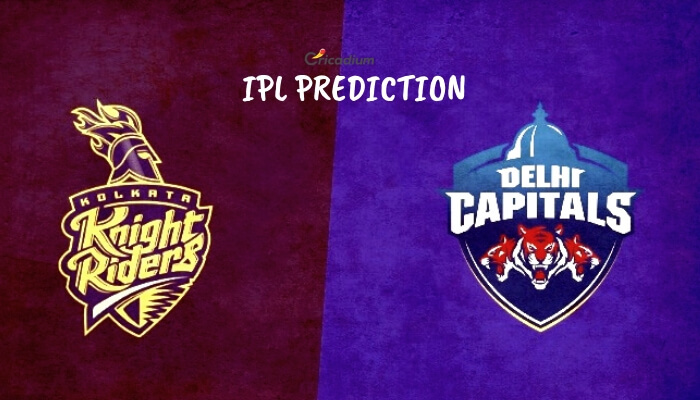 Keep reading to find out the IPL 2019 Match 26 KKR vs DC Match Prediction. The hosts had a great run in the league until they were decimated by Chennai Super Kings in the last game. KKR could score just 108 batting first in the last game as the batsmen crumbled. But Dinesh Karthik & Co. are back at home where they are extremely difficult to beat. DC, on the other hand, had 4 days off after their last game. Shreyas Iyer and his men had last defeated Royal Challengers Bangalore quite comprehensively at the Chinnaswamy. However, they could have a hard time facing KKR at Eden. IPL 2019 KKR vs DC Match Prediction: Despite a stutter against CSK, KKR is a strong side, good enough to beat any team. At home, they dominate more often than not. Hence, we back them to win against DC.